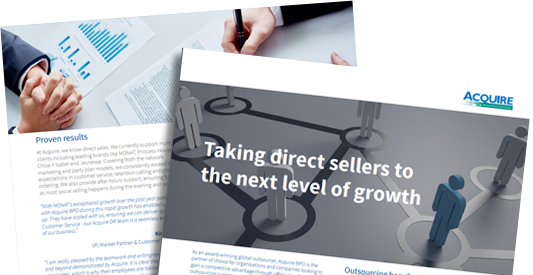 Drive sales, improve service delivery and create remarkable customer experiences with dedicated offshore support developed for direct selling organizations. Leverage our expertise in delivering successful contact center and back office services for direct selling businesses. Our deep knowledge in sales and customer service for the direct selling industry ensures we're always aligned with your business goals. Our omni-channel technology and established processes will personalise and improve customer experience, 24x7. We implement best practices especially in areas of process controls and documentation to ensure you get the best service quality. We provide world-class training and operational flexibility to support BAU as well as project-based work. Pellentesque scelerisque placerat dignissim. Proin convallis quis nisi ac efficitur. Ut non venenatis quam, id pharetra nibh. Nulla faucibus in dui ut aliquet. Duis vestibulum dictum lorem vitae auctor. Nulla faucibus in dui ut aliquet. Duis vestibulum dictum lorem vitae auctor. Pellentesque scelerisque placerat dignissim. Proin convallis quis nisi ac efficitur. Ut non venenatis quam, id pharetra nibh. With over 12 years' experience in providing contact center and back-office services, we're the preferred offshore provider and trusted "growth expansion partner." We help consultants and customers via phone, email and web chat, whether it's regarding orders & shipping, account modification, enrollment, refunds and returns, product enquiries, promotions, incentives, commissions, etc. Our tailor-fit solutions have enabled direct sellers to turn their unique challenges into success stories. "I am really pleased by the teamwork and willingness to go above and beyond demonstrated by Acquire. It is clear they care for their employees, which is why their employees are taking such good care of my customers. I look forward to building this relationship for years to come!" Fill in the form below to learn more about scalable, personalized solutions that reduce cost and improve quality. We'll be in touch soon to discuss how we can achieve success for your direct selling business.